Deepest thanks to all veterans, past and present. God bless. 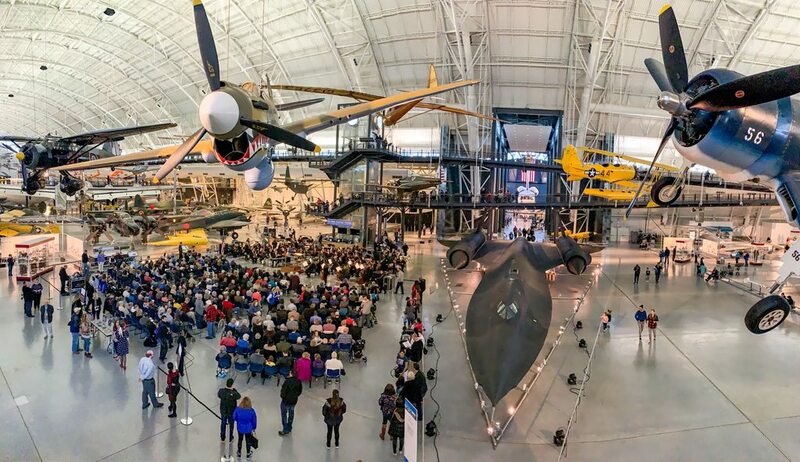 The National Symphony Orchestra gave a free 1 hour concert at the Smithsonian National Air and Space Museum's Steven F. Udvar Hazy Center in Chantilly, VA (it's the annex facility at IAD - Washington Dulles International Airport). I wasn't up close but I had a great view from where I was standing above. I really loved the part where the conductor yelled out a branch and the men and women who served or are serving in that branch stood up. Everyone looked around and applauded them while the song from each branch was being played. SERE, Lip and M60 like this. The Marine Corps doesn't have a song. The Corps. does have the Marine Corps. Hymn though. Isn't a hymn a type of song? M60 and Lip like this. I learned long ago, never to question the Corps. My first day in boot camp, one of my three D.I. 's, knocked me out for sweating without permission. When I woke up, he told me that I'd better not still be bleeding without permission, when he came back. You think I was about to pose your question? Before you ask, there is a brother Marine, here in town, who went through boot camp with me on the buddy system, who was witness to the aforementioned.